Fang and My OC. A friend of mine on max-dan-wiz, Rinean, drew this picture of Fang and a character from one of my Fanfictions, Alanna. I personally think it's awesome. Of course, I can't draw, so I'm amazed sejak anyone who can.. Wallpaper and background images in the Maximum Ride club tagged: fang. 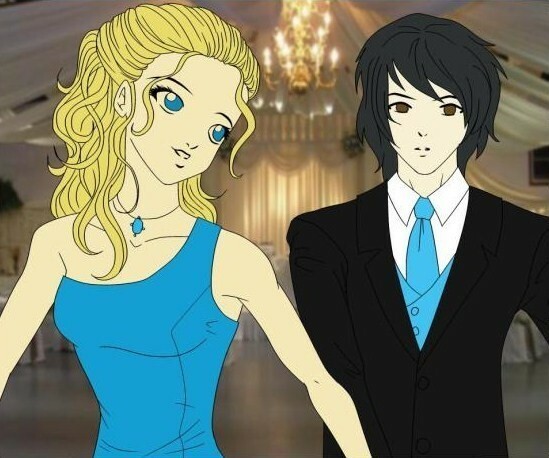 This Maximum Ride fan art might contain anime, komik, manga, kartun, and buku komik. wow, this is cool. I love the story, too. me on Fanfiction = Poisonrose22.5! You don't happen to be Saint Fang of Boredom, do you? Haha, I L-O-V-E, LOVE your stories!!! I'm DarkDragon187. I don't really write, though.